This $28.5 million project added capacity to 4.1 miles of I-94 from TH 101 in Rogers to TH 241 in St. Michael. 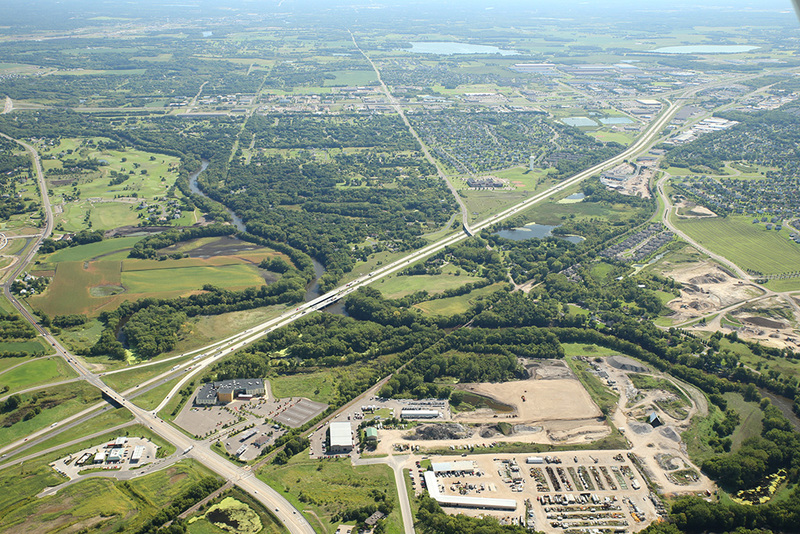 Key elements of the project included constructing an auxiliary lane on I-94 EB, extending the third lane on I-94 WB to the TH 241 interchange, reconfiguring the I-94 WB off ramp to TH 101 to increase capacity, and widening the I-94 bridges over the Crow River. Construction elements of the project included grading and surfacing for the additional lanes, constructing an unbonded concrete overlay on the existing pavement, pavement reconstruction, bridge widenings, drainage improvements, culvert replacements, guardrail enhancements, and noise wall construction. As part of the project, Alliant developed an innovative temporary folded diamond interchange at TH 241 that eliminated all ramp closures.